GapBridge offers high-end SAP implementation, Support, Upgrade and related services for solution ranging from SAP Business Suite of Application to latest technology including Mobility, Cloud and Analytics. Working with us ensures accelerated delivery of solution from our global team of technical and domain experts to ensure solutions and services design to suit your current business requirements and future strategy. 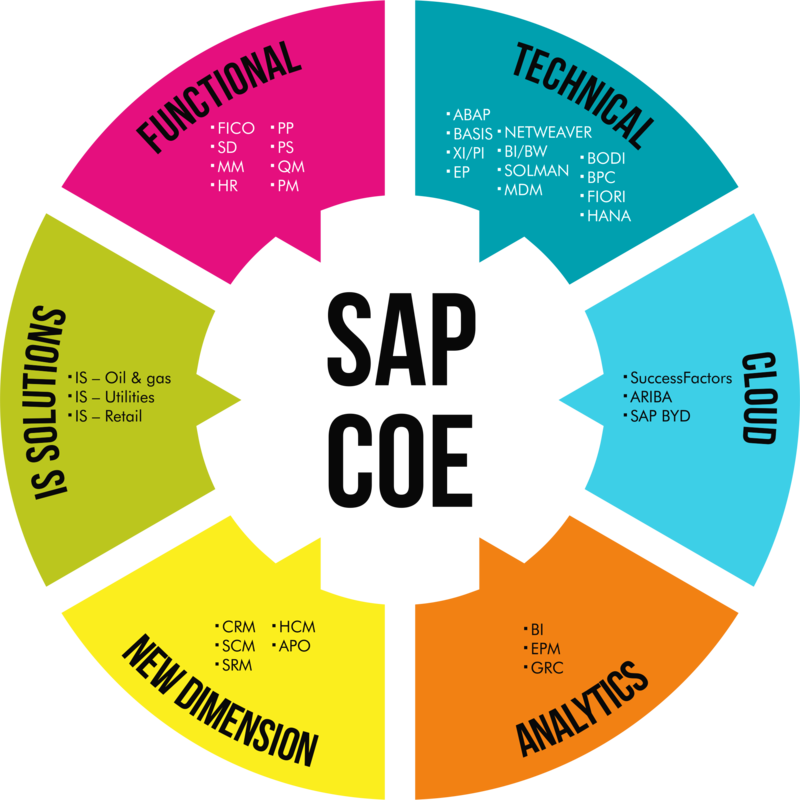 We have setup dedicated SAP Center of Excellence (CoE) to invest into new technology and enabling our customers to leverage the latest technology innovations to address their business pain areas.